Eleven. My deaths in Dark Souls 2 stand at eleven after just two and a half hours with the game. The first came in the game's tutorial area as I tried to navigate a tight floating path and learn the jump button was bound to L3 by default. I plunged into the misty doom below and quickly changed my controls. 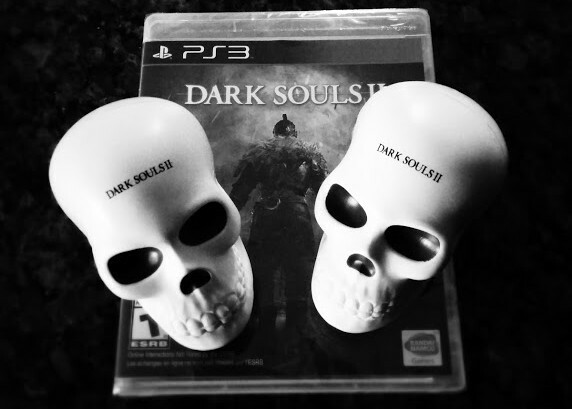 I earned a trophy called "This is Dark Souls." My second death was not long after, as I learned my character can not swim in the first small body of water I came across. Perhaps the most embarrassing death was at the hands (hoofs?) of three small piglets. Forgetting to lock onto each target to attack, they swarmed me like a flock of birds and backed me into a well, once again, falling to my death. I'm not a Demon's Souls or Dark Souls veteran, I've played both games with only a handful of hours into both. To put it honestly, I just can't "get" them. I don't find them enjoyable. The combat and character animations feel like I'm creating some sort of stop motion movie. Slow deliberate shaping of clay character models confined by the material's limits. I find the controls quirky, almost floaty at times, and difficult platform ledges yielding quick cheap deaths because of this. Don't worry internet, I won't be reviewing the game - but I figured I'd offer some impressions with it none the less. I WANT to like the Dark Souls series, I really do. But in my grown adult age where gaming time is at a premium, I've had very little satisfaction. 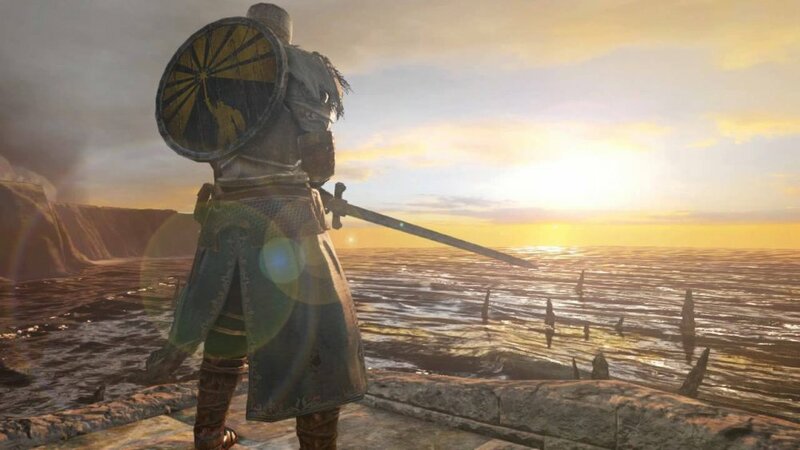 After a gorgeous opening introduction and a small tutorial area, I was actually drawn into what Dark Souls 2 had to offer. The intriguing story of a nameless character in a world where your soul is slowly fading away along with tormented others is both bleak, morbid, and incredibly interesting. The dichotomy of the dark opening of the game with your first area only adds to this. 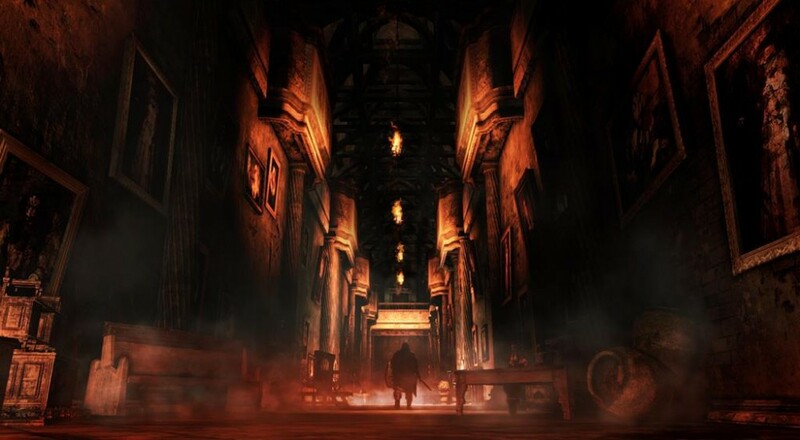 Dark Souls 2 starts out in the gorgeous coastal town of Majula. The sun is forever setting, casting an orange glow and long shadows over the few huts and structures that litter the coast. A giant monument on the coast allows you check how many times you have died in the game. You'll find a vendor in the form of a cat, another vendor that sells armor, a blacksmith, a way to level up and a few covenants to join - which are supposed to make the game's co-op mode more accessible. Unfortunately I wanted to talk about the changes Dark Souls 2 has made to co-op, but even up until the embargo last night the servers were down meaning I couldn't test the functionalty. Fret not, we'll have a full review up next week and plenty of streaming on Twitch.tv channel all this week by Dark Souls veteran Locke Vincent. You can see some of his playthrough of the beta from late last year. The PlayStation Blog offers some tips for the game. Fast Travel: Bonfire’s serve as the “checkpoints” in Dark Souls II. As soon as you light a new Bonfire, you’re able to travel between that fire and any other Bonfire that you’ve lit. Leveling: Spending hard-earned souls to level up can only happen with the Emerald Herald, a specific NPC you’ll need to return to each time you wish to seek more power. Death Hurts: Every time you die, you’ll lose a tiny piece of your maximum health as your body decays. You can restore your humanity and stave off the Curse by consuming a Human Effigy. Use these wisely. Surprisingly, I enjoyed the little time I spent with Dark Souls 2. I still don't think it's a game for me, but I can see where people get some satisfaction. I played as a dual wielding swordsman and combated my way through numerous enemies, just barely learning the ropes of the dual wielding combat system. The PlayStation 3 version of the game that we tested looked decent enough, with the lighting as a standout feature. The textures really lacked some detail and punch making them almost muddy though, making me yearn to play this on a PC. Perhaps when the game is released next month I'll give it another go. Dark Souls 2 is out now on the Xbox 360 and PlayStation 3 and features three player online co-op. Page created in 0.4110 seconds.